Can it be another year has passed and the Diageo special releases are upon us? It seems only like yesterday I was sampling the delights of the Brora 2011 release, ok, it was only April but time flies nevertheless. When the 2012 line-up was revealed there was the evident jump in prices for what generally some term IGS. The Port Ellen I could have picked up but £600 whilst purchasing the Brora - before the holy trio of releases pre-orders sold out in a matter of minutes Is it really that good? Lagavulin was an interesting prospect and one I'd consider, generally well reviewed and as I write still available at the Scottish Whisky Experience for a slightly inflated £400. Yes, some interesting bottles and ones I would take a risk on, but the pricing nowadays really removes impulse or speculation buying apart form the lower end. Well, what can I say each year of late Diageo just cracking out the same packaging. 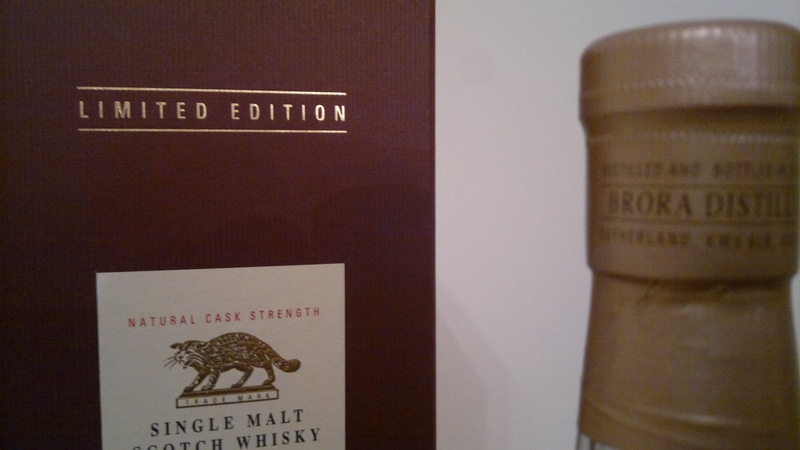 The 2012 edition is missing the small booklet about the Brora distillery that was in the 2011 release. Perhaps Diageo don't see the point as we should already have 2011 in our collection? A no thrills approach to packaging and minimising costs seems to be the general trend. The Rosebank 2011 release was identical apart from the colour scheme. I suppose if it means it keeps the overall cost down and the quality of the whisky high, then fair enough. However the retail asking price keeps on rising. I did enjoy the 2011 release, I haven't sampled its older brother yet. By all accounts the reviews are very positive, particularly Whiskyfun which almost has me reaching for the bottle to experience it. I may have to settle for a sample or drop by Clynelish and take one of the more expensive tours - so be it. So, here are the notes and a photo of the inner sleeve official tasting notes. Saves me having to type it!